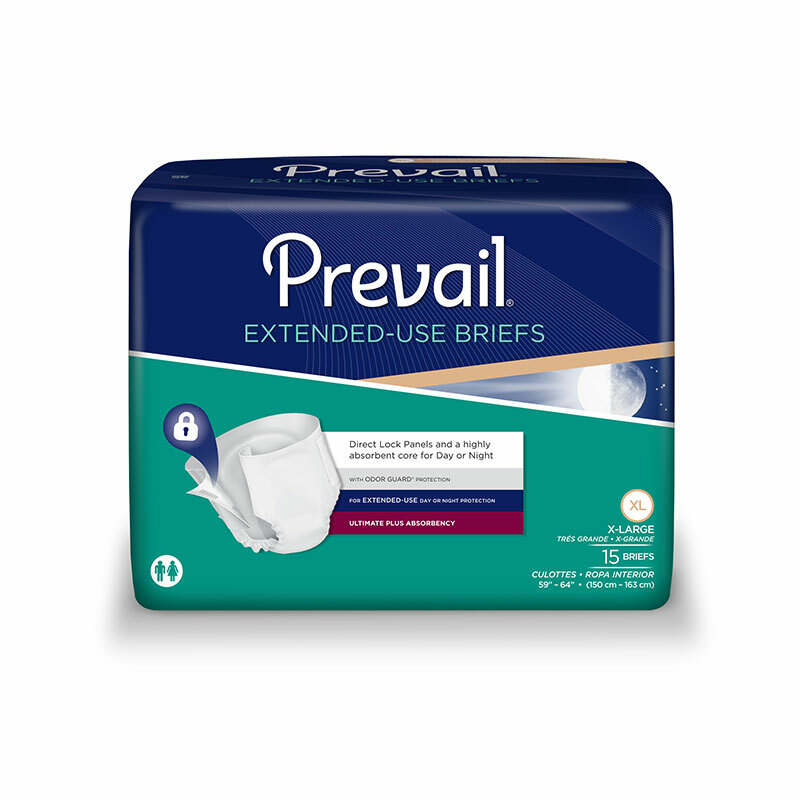 Buy First Quality Prevail Extended Use Brief XL - 15 Briefs online! You are buying the First Quality Prevail Extended Use Brief XL 59"-64" NTB-014 15/bag - Model #NTB-014 from First Quality. First Quality is a leading manufacturer of incontinence products including briefs, liners, underwear, diapers, and underpads. At ADW Diabetes, we do our best to offer the complete product line by First Quatliy with discounted pricing up to 60% off retail. First Quality Prevail Extended Use Brief XL 59"-64" NTB-014 15/bag - are ideal for extended or nighttime protection from leakage with the most perfprmance and comfort enhancing features. These adult briefs are fitted for everyone for moderate to heavy leakage associated with Reflex, Overflow and Functional Incontinence. Extended Use - Designed with superior absorbency for day and nighttime use. Direct Lock Panels - Back panel of brief can be grabbed between the two Easy-Lock Fastener Strips to release and attach without unfolding tabs.